Travel is not always positive emotions, sometimes, fortunately not very often, there are also negative ones. For example - the most various injuries received on rest, poisoning, burns, sunstroke, hypothermia, and just malaise. In this section we will tell you how to collect a tourist first-aid kit and what medicines to put there. Use only proven means, as on unknown drugs you may have an allergic reaction. Drugs in the first aid kit of the tourist should be placed only with an expired shelf life, and also choose those that can be used "in haste", for example, without dissolving in water. If you have any chronic diseases, be sure to put in the medicine chest preparations for their treatment: another climate or kitchen can cause an exacerbation of your chronic illness. 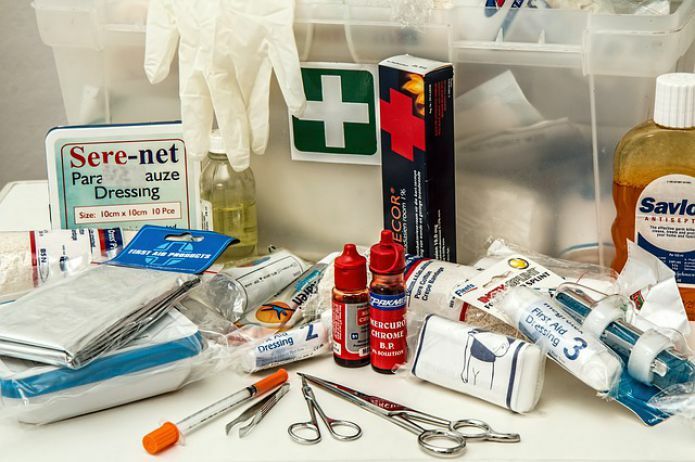 The composition of the tourist first-aid kit most often directly includes medicines, various instruments like thermometer or scissors, dressings, as well as paramedical preparations like mosquito antiseptic or hand antiseptic. From "sea sickness" and motion sickness and nausea: Aeron, bonin, air-sea, drama. Means for the disinfection of hands. Please note that some countries have their own customs rules that prohibit the importation of medicines. As a rule, no one checks the luggage of tourists, but nevertheless check the contents of your first aid kit for compliance with the customs regulations of the country of your trip. It may also be that some drugs (slimming drugs, antidepressants, antibiotics) can be banned or allowed to be imported only on prescription! What else? Before a trip always make out the medical insurance: its cost is cheap in relation to the budget of the trip, but the help rendered under the insurance can be irreplaceable. Especially the services of medical care in other countries can be very expensive. Gather a tourist first-aid kit right now and be healthy and calm in your journey! Love to sunbathe and swim in the sea? Then you should get acquainted with the hotels with their own beaches. Separately, I would also like to tell you about the city beaches in Sharjah.